Park in the parking lot on Alter Ave in back of of the school as far as possible toward the top of the lot. Proceed to the right on the sidewalk toward next to the tennis courts to outfield of Field 3. 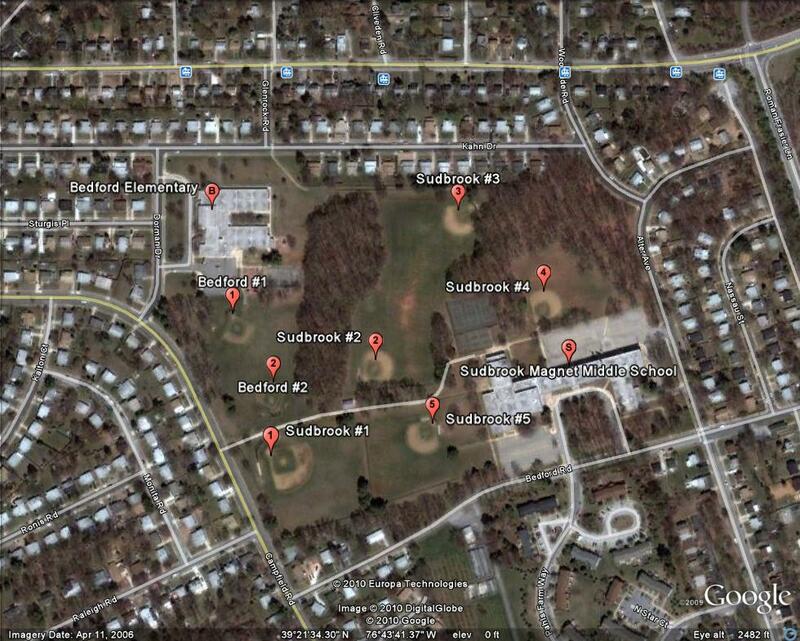 Click here for a map of the Bedford and Sudbrook Fields.